PRO Voice Wireless Headphones with Amazon Alexa Voice Recognition. "They deliver exceptional audio performance for the money. Highly recommended." "These headphones feel like the future." "PRO Voice is a fantastic headphone." "This is just the latest evolution of Alexa technology." When leading wireless range, battery performance and sound just wasn't good enough - say hello to your new voice-enabled personal assistant - Alexa. There's no button to push. Simply ask Alexa to play Prime Music, plan a trip, or even order pizza. It's an entirely new experience. Music is Everything. Now Everywhere. An all-new precisely tuned 36 mm driver delivers a high-fidelity listening experience rarely seen in a portable headphone. Crisp highs and rich bass never distort, even at high volumes, while the MotionControl app gives you total control over the listening experience. We've also included the latest generations of Qualcomm aptX, AAC and the 66 SoundEngine DSP that deliver world-class audio processing whether you're streaming Prime Music or playing high-bitrate MP3s. We've mastered range and we're proud of it. 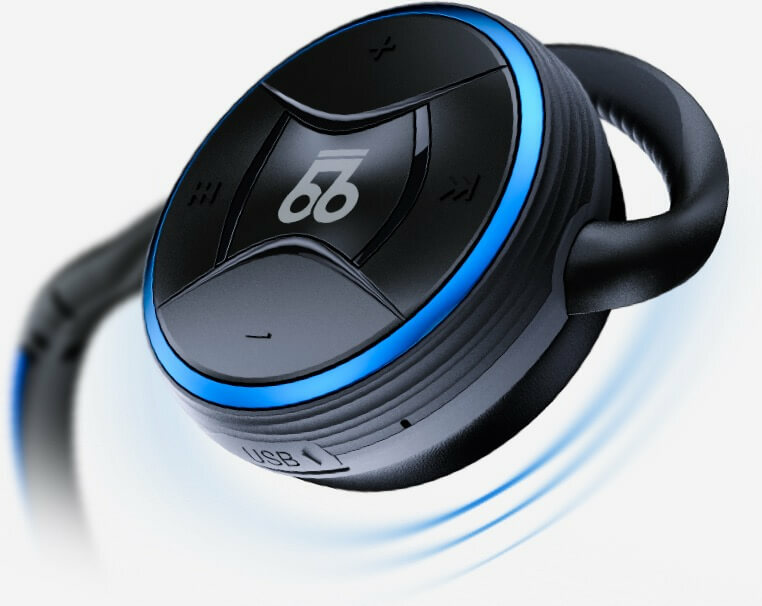 While most Bluetooth headphones will cut you off at around 35 feet, years of engineering, dozens of iterations and careful testing deliver 125+ feet of effective Bluetooth range. Our patent-pending 3DRF antenna is now 25% more efficient than BTS Pro, while reducing power consumption and RF interference. Wireless range is dependent on both headphone and transmitting device (smartphone, PC, etc.) as well as environmental conditions. Certain older smartphones and Bluetooth transmitters simply have poor Bluetooth performance. PRO Voice is tested with many of today's latest device including older devices. Effective range with some latest-generation smartphones exceeds 125 feet. Alexa, play Prime Music. Alexa, order me an Uber. Alexa, play my flash briefing. 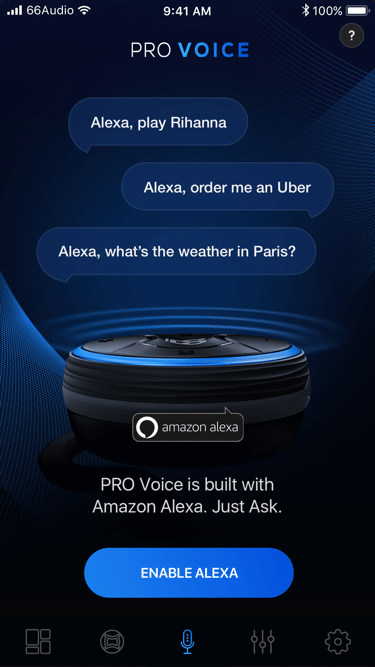 Alexa, what’s the weather? Alexa, more cowbell! Even while listening to music, simply say "Alexa" to interact with Alexa, Amazon’s cloud-based voice service. Ask Alexa to play music, hear the news, check weather, control your smart home, play games and more. All with the sound of your voice. Control Your Music. With Your Voice. Check. 1, 2, 1, 2. ActiveVoice™ is a revolution in voice recognition technology. Cutting-edge algorithmic microphone processing enables an entirely new user experience when interacting with Amazon Alexa. It's built right in - you simply just ask - even during music playback. We've improved voice calls too. Next-generation noise cancellation algorithms remove road and ambient noise while improved microphone impedance and sensitivity combine to deliver a crispy conversation. ActiveVoice Technology can be hardware-disabled on-device or thru the MotionControl app for iOS and Android. 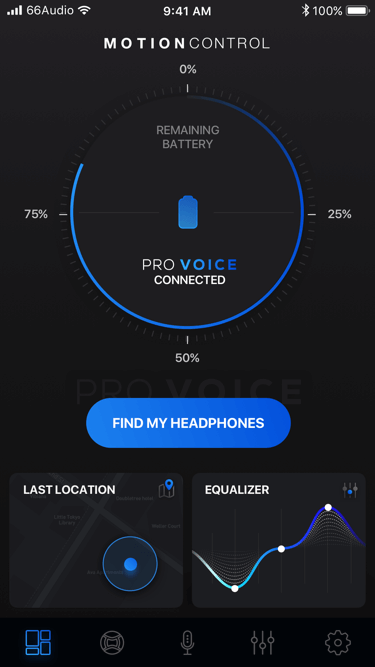 PRO Voice integrates perfectly with the MotionControl app, available for free download on iOS and Android devices. Like an at-home stereo EQ, MotionControl works directly with the hardware to adjust EQ levels in real-time. 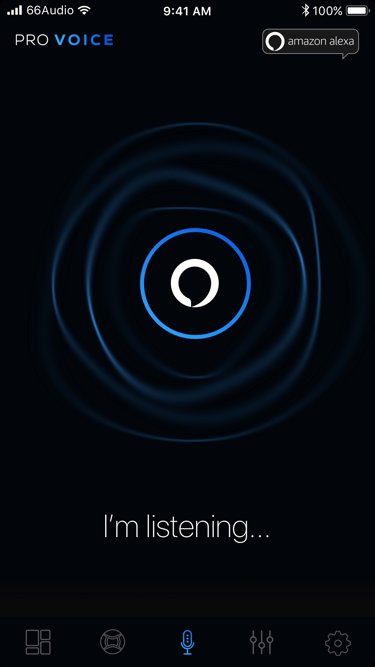 Our Patent Pending 'Find My Headphones' features delivers peace of mind. While real-time battery notifications ensure you never go on empty. We've improved the pivot angle, material design and ear hook extension trajectory on PRO Voice to increase comfort while reducing strain and maintaining excellent acoustic design. An entirely new ear hook design combined with advanced material design - all based on user feedback - delivers fluid performance while taking comfort to the next level. Look great? Check. Sound great? Check. How about the battery life? It’s no joke. With 40+ hours of continuous playback, 400 hours of standby, a 90 minute fast charge and battery status in-app notifications - power is covered. ActiveVoice™ Recognition technology with Amazon Alexa. Supported during standby, music playback (from any source), and continuous conversation.